Texas Wilson provides HealthTrust member hospitals, medical centers, doctor’s offices and more with a single resource for their furniture consulting, procurement and project management needs. Our dedicated, professional staff has the knowledge, experience, and foresight to add real value. 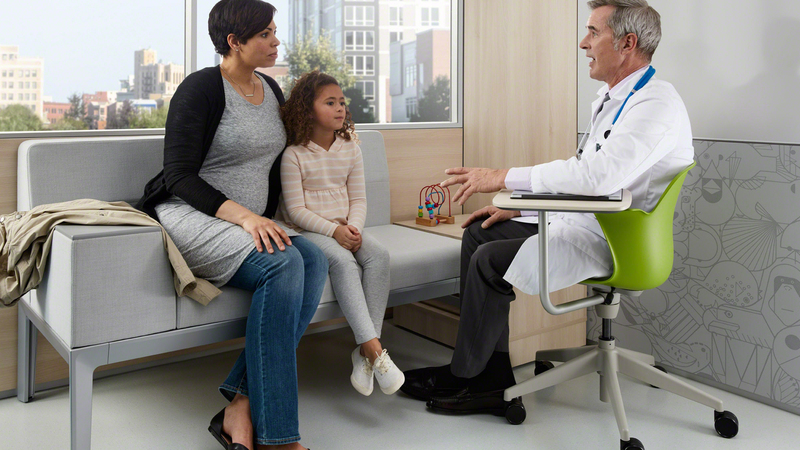 We are now an approved furniture dealer for members of the HealthTrust network, and we’re teaming up with HealthTrust vendors such as Steelcase, Global, La-Z-Boy, OFS Brands, and Wieland to provide significant savings and expert service. Our long-standing relationships with more than 200 manufacturers ensure our clients are getting the best possible pricing and options to fit their exact need. Whether it’s recommending an ergonomic solution for doctors and nurses on their feet all day or creating comfortable conditions for patients and their families, our main focus is making sure the space fosters a seamless experience from the waiting area to the patient room and from the administrative office to the laboratory.